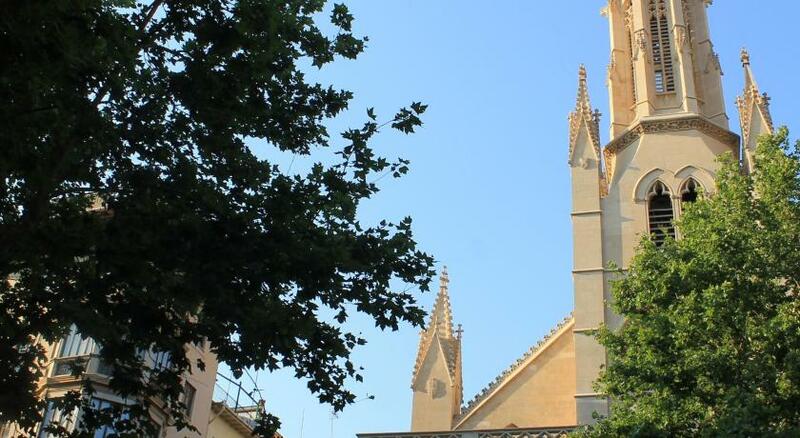 Lock in a great price for Purohotel Palma - rated 8.6 by recent guests. Excellent selection for breakfast. Service second to none, all staff couldn't do enough for us, made us feel really valued as a guest. Wine and cake was left in our room on my wife's birthday, which was a really nice touch. Great location,very nice place and professional-friendly staff. Breakfast is super. Gracias! The room was beautiful and the staff are very friendly! 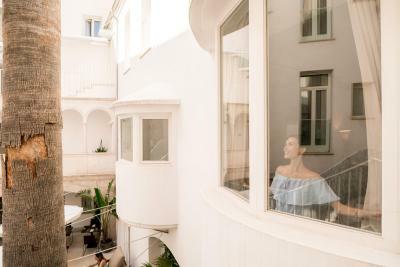 Puro is in a brilliant location, a few hundred yards from La Lonja and a few yards from restaurants, bars and really interesting shops and galleries. It’s comprised of several buildings, all interlinked, which gives it a quirky feel. Our suite was on 3 levels, although I can say we ever went up the stairs to the little tv/sitting room! Nice design, comfy bed, brilliant toiletries. Can’t say a single word in criticism. Excellent location with friendly staff. I would recommend Mariana for your SPA treatments (massage). Nice breakfast. I will come back to this hotel. Reception staff were very good and helpful. Generally a very good hotel with most amenities. Breakfast selection generally was good, but there were some shortcomings (see what we didn't like). Comfortable and clean room, which was well serviced. Good central position in the city. 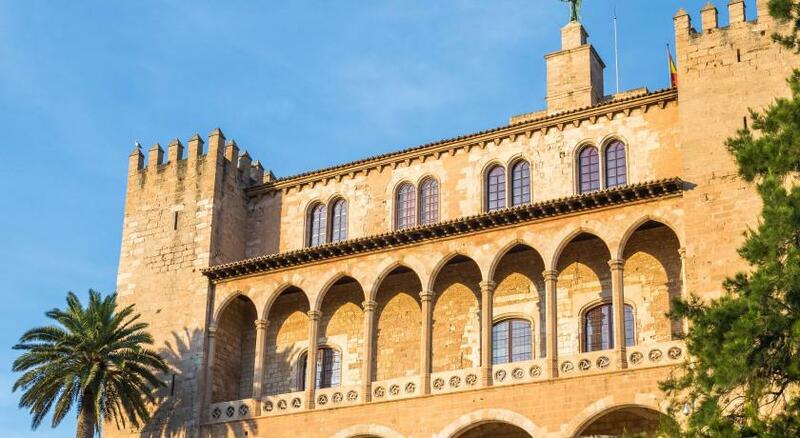 Featuring 2 rooftop terraces, this chic, urban hotel is set in an 18th-century palace in La Lonja district in Palma de Mallorca. There is a resident DJ and open areas, creating a casual and lively atmosphere. Purohotel’s stylish rooms are decorated in neutral tones. It features air conditioning and a spacious bathtroom. Rooms are luxurious and come with 52-inch plasma TVs and free Wi-Fi. A pool is located at Purobeach, 5.6 miles from the hotel. Guests can get preferential rates, book poolside sun loungers and the free shuttle to Purobeach from reception. 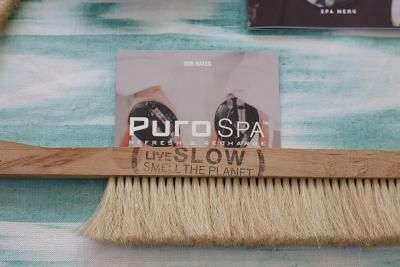 Purohotel Palma offers a small spa with free Turkish bath and sauna. A range of massages can be booked on site. There is a hot tub and a small plunge pool in the rooftop terraces. Purohotel has a roof terrace with city views and the hotel organises DJs sessions at the Bar & Restaurant. The Bar & Restaurant serves fresh Mediterranean and Asian cuisine. 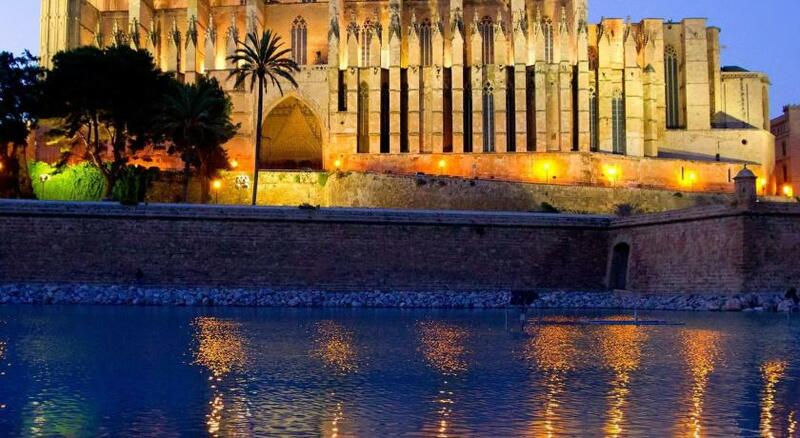 Purohotel is 200 yards from Palma Cathedral. Jaume III Avenue, with its exclusive shops, is 550 yards from the hotel. 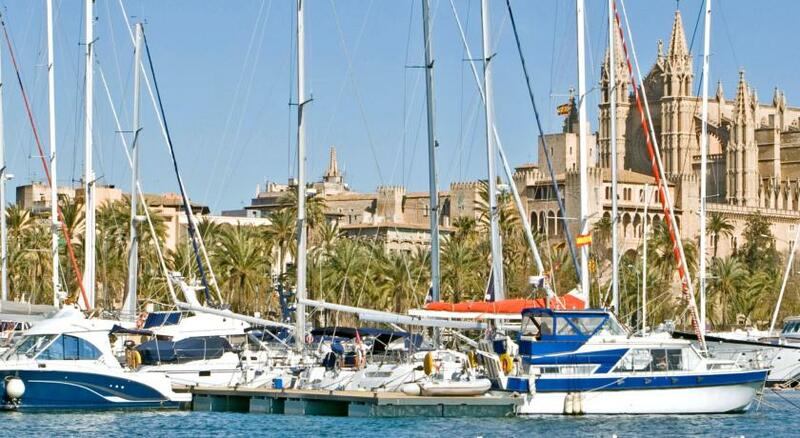 Palma de Mallorca’s Old Town and Gothic Quarter are within 10 minutes’ walk. 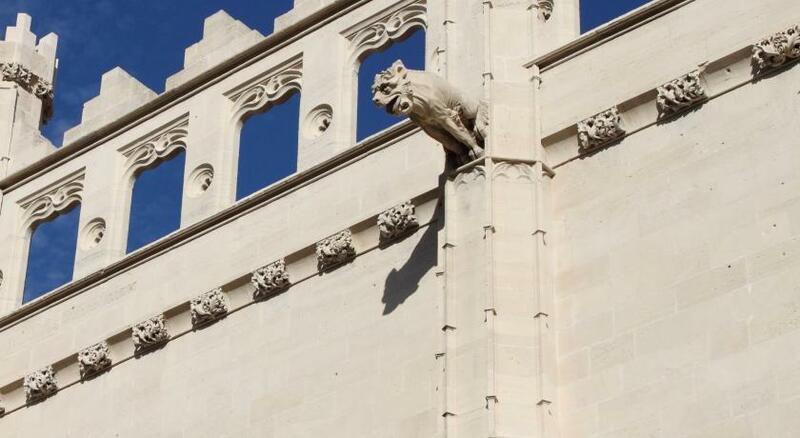 This is our guests' favourite part of Palma de Mallorca, according to independent reviews. Purohotel Palma has been welcoming Booking.com guests since 18 Dec 2009. 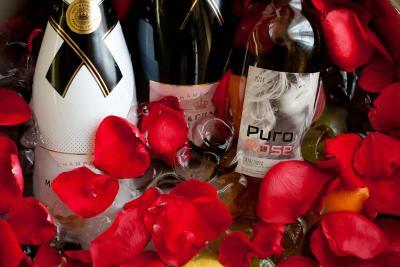 When would you like to stay at Purohotel Palma? This double room offers a king-size bed, a flat-screen TV and a Bose sound system. The spacious bathroom is also covered by the sound system. All deluxe rooms are different and uniquely decorated. You might stay in a suite different to the photos shown. This superior double room has one king-size bed, a flat-screen TV and a Bose sound system. There is a spacious bathroom, also covered by the sound system. This junior suite features high ceilings and a reading area. It has one king-size bed, a flat-screen TV and a Bose sound system. The spacious bathroom is covered by the sound system. All suites are different and uniquely decorated. You might stay in a suite different to the photos shown. This suite features a bedroom, bathroom and a lounge. It has one king-size bed, a flat-screen TV and a Bose sound system. The spacious bathroom is also covered by the sound system. This single room features a minibar and air conditioning. All rooms are different and uniquely decorated. You might stay in a suite different to the photos shown. Situated on the exclusive Private Wing building, this stylish room features sleek dark wood flooring and whitewashed walls. It comes with a flat-screen TV, free WiFi an an iPod docking station. The private bathroom includes a bathrobe and slippers. The palm-fringed streets of the old town lead to a massive cathedral, beautifully sited by the sea. Don't miss still-operating public baths that date back to the Arab occupation of the island. 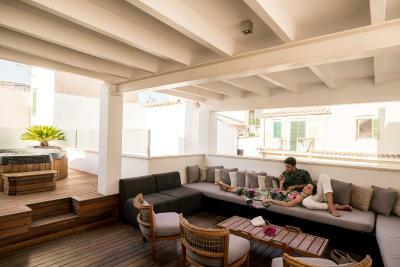 House rules Purohotel Palma takes special requests - add in the next step! Purohotel Palma accepts these cards and reserves the right to temporarily hold an amount prior to arrival. Please note sunbeds at Purobeach are subject to availability, have a surcharge, and must be reserved in advance. Please note that access to the spa is free of charge and must be booked in advance at reception. Treatments carry an extra cost. 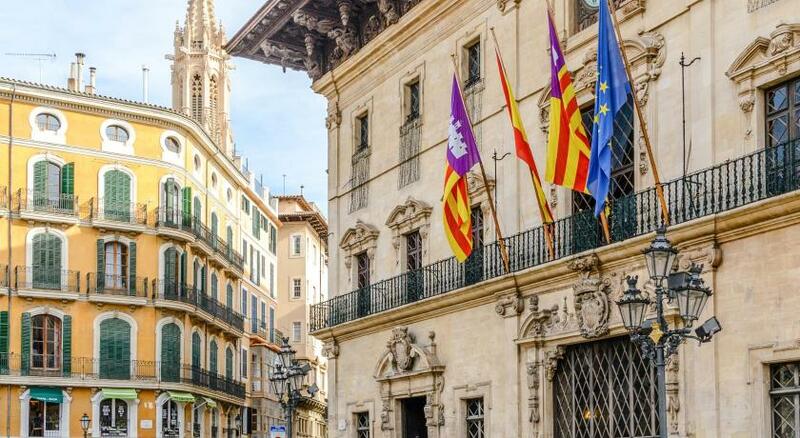 One of the most picturesque neighbourhoods in Palma de Mallorca! The last night there were NO facilities !!! Not even room service or a bar . Only 1 member if staff . For a 4 star hotel unacceptable . No discount offered . To pay full price , not be advised in advance outrageous and unprofessional. Very noisy fan. Bathroom placed ventilation into the sleeping area. A lot off noise from the sitting areas inside. We changed room and after two nights the hotel. No full length mirror in room but one just outside in the corridor. Roof top terrace bit disappointing. I will try to be as objective as possible. Due to a glitch (?) in the booking.com system, we were not informed that our cancellation deadline was approaching, so it passed. It wasn't an issue because we were going anyway, but our work situation got complicated a week before the arrival. We asked the hotel if they could possibly show goodwill and allow us to cancel with no penalties (which is entirely their prerogative). The answer was a disappointing no, but within their rights. However, my request and their negative reply was immediately followed by a transaction on my account in the amount charged for a case of cancellation. Because we never instigated the cancellation, but only asked if they could relieve us of our obligation, this was actually something they were not allowed to do and was against the rules (fully payment on site). Furthermore, it showed disrespect and distrust in their guests. In the end, we were able to manage the situation at work and arrive as planned, with considerable difficulty. Upon arriving the staff was more than pleasant and accommodating. The only negative thing, and this was not announced anywhere, was that we learned that integrated free spa facilities, included in our price, were off limits due to works/maintenance. We got an option to go to a spa in a hotel 10 minutes away, but it cannot be in any way regarded as the same thing, so we never used it. The room was quite nice, except that, unlike the pictures provided, we got a bathtub instead of a shower. Which would have been ok if there was a movable shower head: how are women are supposed to shower in case they don't want to wash their hair? Breakfast was great and very tasty. The last day we took a lunchbox. It was a disgrace: a dry toast bread with a slice of salami, butter and few pieces of fruit. All in all, I cannot be satisfied with the way we were treated. Many things are really nice and the hotel is good, but some of the negative things ruin the picture. No chair in the bedroom, great shower but very slippery underfoot with no hand rail. Very large room with unusual features. Somehow just a teeny bit antiseptic but I think that’s because the interior is predominantly white and we stayed over a couple of December days. It would be brilliant in the summer.